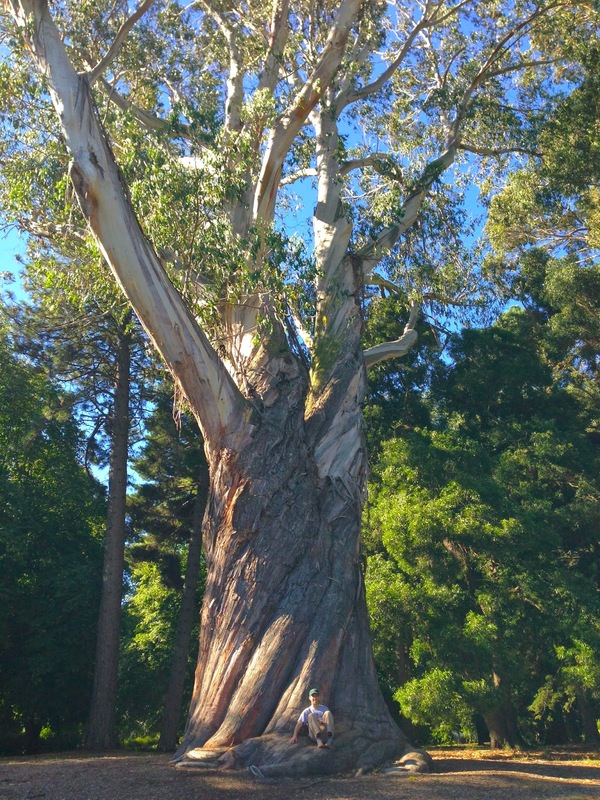 From the many trips through New Zealand that I have been so graciously afforded on my return trips from Antarctica, I came to fall in love with the wonderful country. I could wax poetic for days on the beauty and majesty of New Zealand's south island, and why it is a place that always makes me feel at home....but I'll refrain for now. If I totaled up the amount of time I've spent hiking, traveling, road-tripping, and all around galavanting through New Zealand, it would likely add up to several months in total. As much as I love and cherish the memories from each of my trips there, I still continue to pine for it. So it wasn't with any surprise that I decided to plan one last little adventure on my 2nd favorite patch of land in the Southern Hemisphere (I think you know what #1 is. If not, I'll give you a clue: it's really cold there). One of the fantastic fringe benefits of my many trips down south is a very large surplus of frequent flyer miles. By the end of last year, I had amassed almost 200,000 miles with American Airlines. With recent news of new jobs starting for my other half, and my recent defense, I decided it was time for the two of us to take a trip to New Zealand together. Just like when she took me to Japan in 2012 to show me all of her favorite places, I decided it was time to take C with me to New Zealand and show her all of my secret places, and hopefully discover some amazing new ones too. We would only have 12 days on the South Island (the best we could do with ff miles), so we knew we'd be somewhat limited in what we'd be able to squeeze in. We agreed on a few things up front. We wanted to hike one alpine track, we wanted to see the glaciers, we wanted to see Milford Sound, and we wanted to straddle the Alpine Fault. Anything else would be wonderful sugar on top. The first decision we made concerning our travel was critical. Rather than budget for hostels and hotel rooms, we decided to rent a micro-campervan and use it as our traveling motel room. It came with a stove, bed, and sufficient storage...so we'd have everything we'd need except for showers. From experience, I knew we'd be able to buy those from campgrounds or community centers for 5-10 dollars. Plus, we're both field geoscientists, so taking a shower everyday is not a big deal for either of us. We laid out a rough travel itinerary (see map), booked the microvan, and made any other arrangements we needed to. 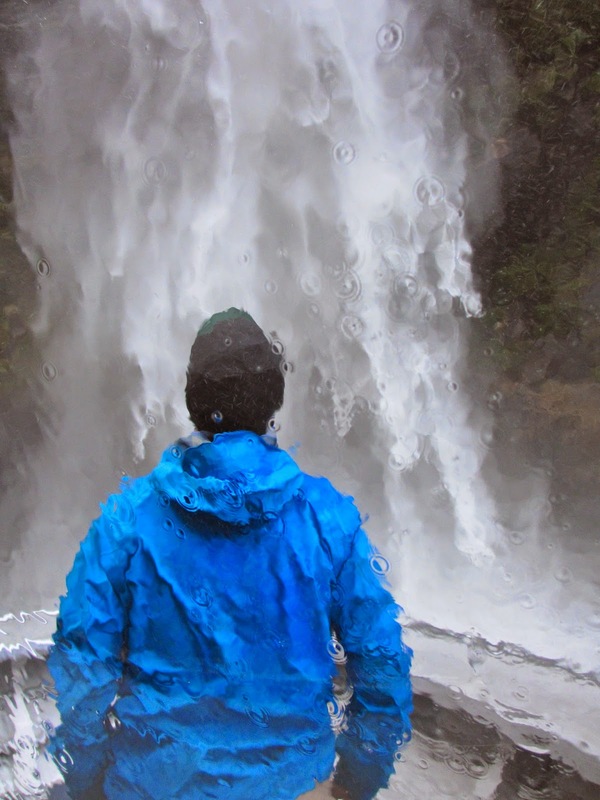 We decided to hike the Kepler track because it would give us a good mix of alpine and forest hiking in the Fiordlands. We headed to the airport on Superbowl Sunday just as a mega-storm rolled in. To our dismay, our first flights, got canceled. The frustrating part is that only our first flights to Philly were canceled (literally a 45 minute flight). But, because of this, everything dominoed and we missed all of our flights. After driving to Philadelphia during a blizzard, dozens of hours in airports, sleeping on floors, flying on completely different airlines, and even buying a new flight day-of (that was ungodly expensive), we finally stepped out, with our bags, in Christchurch NZ only about 6 hours behind our original schedule. We skipped quickly over to the microvan rental place, and got our van as quick as possible. 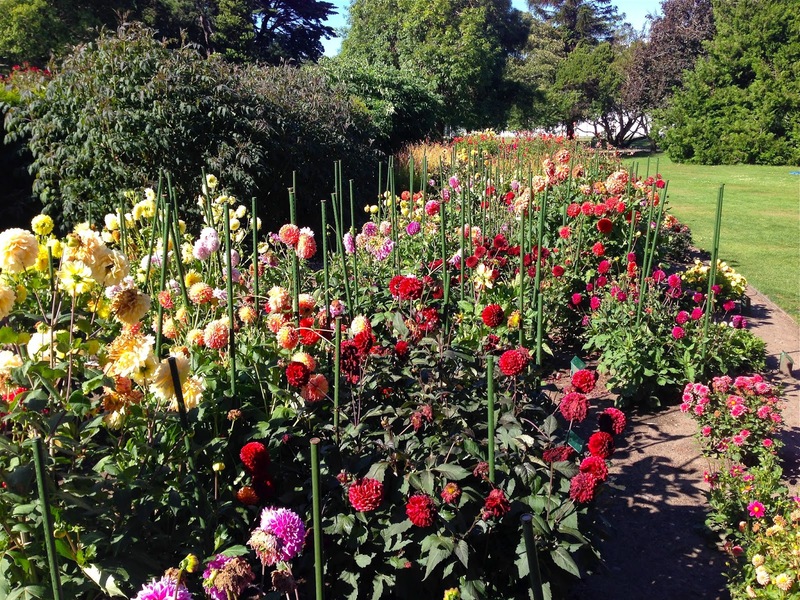 We had planned to spend several hours in Christchurch before heading out, but opted instead to keep our city time quick, and if there was time on the return, to explore more then. So after a quick jaunt to the museum, the botanical gardens, and my favorite latte spot, we started driving South out of the city. Our only goal our first night was to make it as close to Wanaka as possible. Our home for 12 days! New Zealand has very open policies when it comes to "Freedom Camping". In other words, you can basically camp along the side of the road in your camper-vehicle, as long as it's at least a few miles outside of any major city or town. What's more, there are actual camping pull-outs with picnic tables nearly every few miles. This is a common theme and practice amongst tourists during the peak season (Jan-Feb), particularly with younger tourists on a shoestring budget. It used to be that you could show up at a hostel, backpackers, or hotel on a day you needed a room, and there'd be a vacancy. Those days are sadly gone now. Every place, in every town we visited, was booked full, so we were very happy to have our camper van. Our first camping spot was quite literally along the highway right on beautiful lake Pukaki. Moving on, our first real destination was Wanaka. This town has always been one of my favorites as it has always seemed a bit less "touristy" than popular spots like Queenstown. Unfortunately, this trend has caught on, and while we only spent a day in town, it was definitely packed to the rafters with other tourists. Thankfully, as always, we found ways to find the more quiet nooks and crannies. I suggested that we hike up the short track to the top of Mount Iron just outside of town, which has a beautiful lookout over Lake Wanaka. 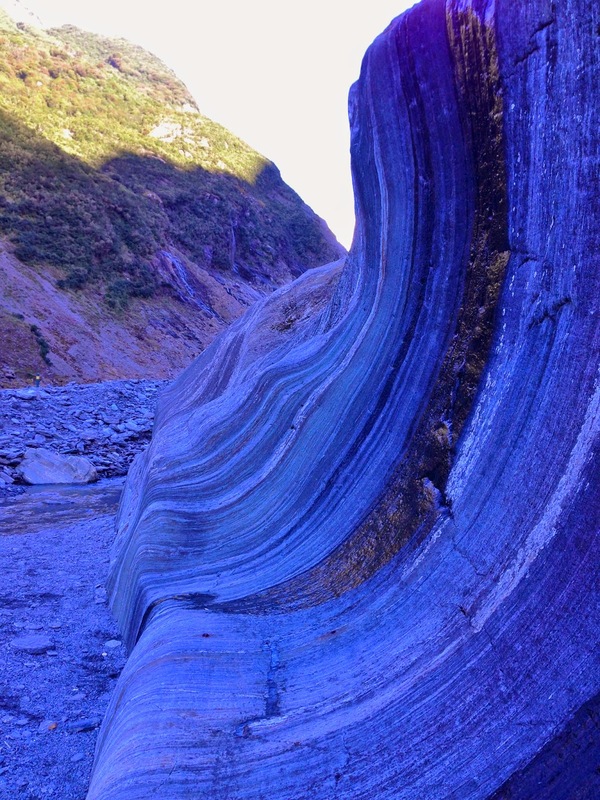 This spot is one of my favorites in New Zealand, and glacially-carved I might add! 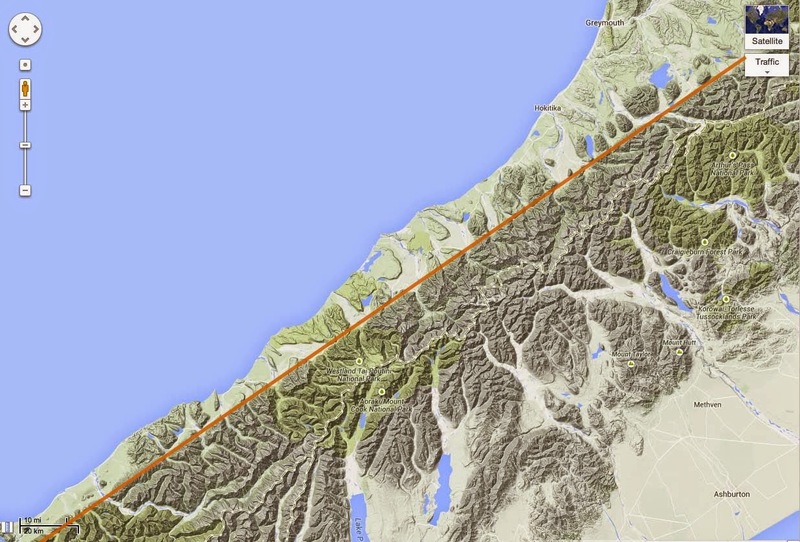 Moving on, our first major undertaking in New Zealand was to hike the Kepler Track. I have hiked it twice before, so knew most of the specifics of the trail. Unfortunately I had my mileages a bit off and it turned out we tackled nearly 20 miles the first day. Not a great idea after sitting on planes and cars for several days, but we survived ok in the end. 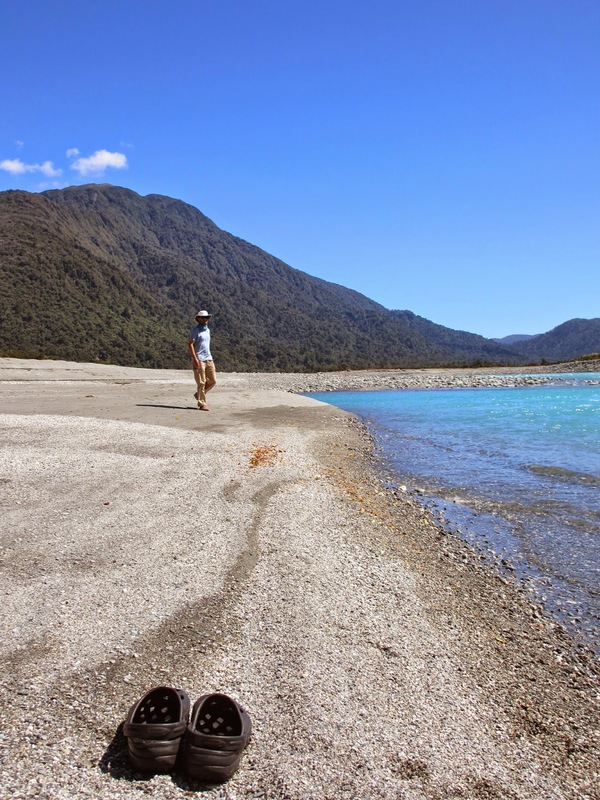 The trick with the Kepler Track is to do it in reverse, so that you end the hike with spectacular alpine section. It's a nice build-up that way. So, the short recap of the hike was that we did the 20 mile forested hike the first day to set ourselves up for the climb up to the alpine section at the start of day 2. It was a very long day, and we didn't even start until noon. This meant we got into camp about 9 pm. Like I said, long day! But, it was worth it in the end. We slept well that first night, and then took our sweet time enjoying the wonderful views all throughout the second day. We had perfect weather, which also helped to melt whatever residual snow was laying around. It turns out that a very active cold front had blown through over the previous few days and dumped a lot of snow on the track. Thankfully, by the time we got up there, most of it was melting fast and the track wasn't too messy. We spent all day along the ridge tops on the 2nd day, and even took the side trip up the summit of Mt. Luxemore. At about 6 pm, we finally descended the long 4 miles down to the Brod Bay campground (about 3 miles from the end of the trail) and camped for the night. On the 3rd morning we made it back to our campervan by 10 am and set out for Milford Sound. We ended up doing about 19 miles the first day, 16 on the second, and just 3 on the third. We were definitely sore after the hike. 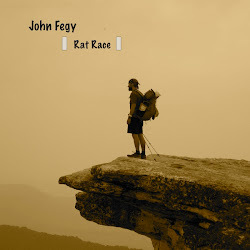 Goofing off at the start. Amazing hanging waterfall across the valley! Hiking along the ridge! Best section of the trail by far! The famous Fiordlands "money shot"
After our successful hike, we decided to make our way up to Milford Sound. We weren't able (nor did we want to) secure spots on the Milford Track, but we did at least want to visit the Fjord/Sound. I have never been to this part of the island, and any place that highlights glacial features is something I can get excited about. The drive up to Milford is long and must be done as an out and back. Meaning we had to dedicate a solid 2 days to this leg. 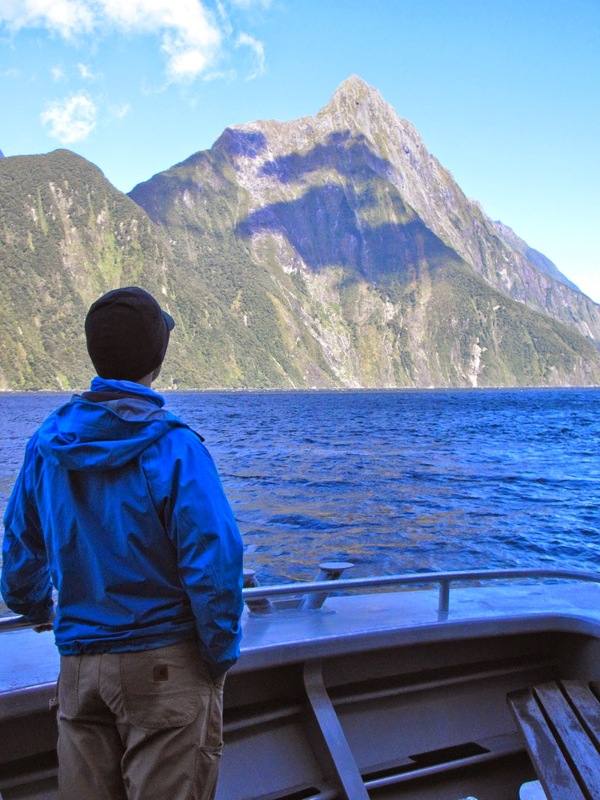 To make it worth it, we decided to book a 2 hour Milford Sound cruise out into the Fjord. It was absolutely worth it and quite possibly the most amazing scenery I've ever laid my eyes upon. Truly breathtaking. In many places the walls of the fjord were almost literally vertical. We toured out along the narrow sound to the outlet of the Fiord, turning around right where the famous NZ alpine fault passed under our boat. On the return trip back in, the weather cleared for good, and we got some amazing views and pictures. There were only 7 on our tour, so it felt like we had the entire boat to ourselves. Again, it seemed we found a way to isolate ourselves form the hectic tourism. Our tour boat. We were 2 of only 7 passengers. Happy after an amazing tour! Next stop on our trip was per my request. I wanted to go back to the glaciers. Both Fox and Franz Josef glaciers were up along the west coast, and I wanted to see just how much they had retreated since my last visit in 09. In all honesty, I had only been to Fox, so Franz-Josef would be a first for me. Both stops are within 20 miles of each other so we decided to hit them both and then stay in the town of Fox Glacier for the night. I knew of a great glow worm dell in the area that I wanted to revisit anyway, so it all fit nicely into the plan. We had talked about maybe getting a room and spoiling ourselves, but alas, like every other night during our trip, all rooms everywhere were booked solid weeks in advance. Turns out the world cup of cricket was also going on during our visit, which only served to boost the tourism even further. We made it to both glaciers and even hiked the short approach trails up to the snouts of each. I kept saying to myself, "I don't remember the approach trails being so long". Turns out they weren't!. 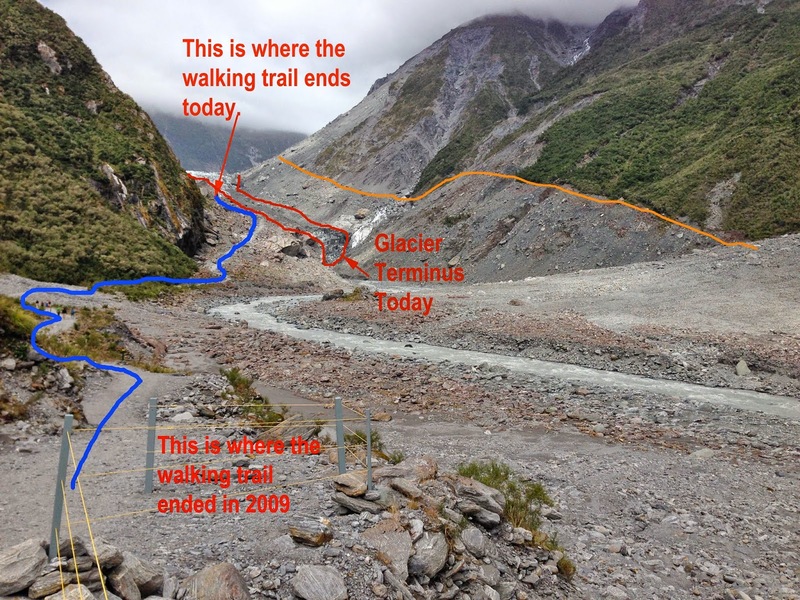 Just in the 6 years since I'd been to Fox Glacier, it had retreated more than I would have thought possible. In 2009, this was the toe of the glacier. Very impressive. Another view from the trail in 2009. Look at all that ice! just barely still see the ice tucked up in the valley from this view point. close you can actually get to the ice front. This is as close as you can feasibly get today. of the the mountainside, you can see where the ice used to be. They even had signage on the trail discussing the incredible retreat. Franz-Josef glacier was no different. The approach trail was quite long, and when we finally did make it to the toe of the glacier, you could tell that it had retreated a lot. Again there was signage highlighting this along the trail. There were some really nice glacially carved features along the trail though! Beautifully carved rock in the valley. Which is of course always nice to see! that had broken off from the glacier. wanted to sample this beautifully bubbly piece of glacier ice! Wonder how old these trapped gasses are? of the glacier. It was quite far away and melting fast. After the glaciers, we decided to dork out even more and visit the famous Alpine Fault. This is one place on earth were two tectonic plates come together and can be seen in outcrops on land. What this means simply, is that there exists a place where you can stand with one foot on the Pacific tectonic plate, and one foot on the Australian tectonic plate. 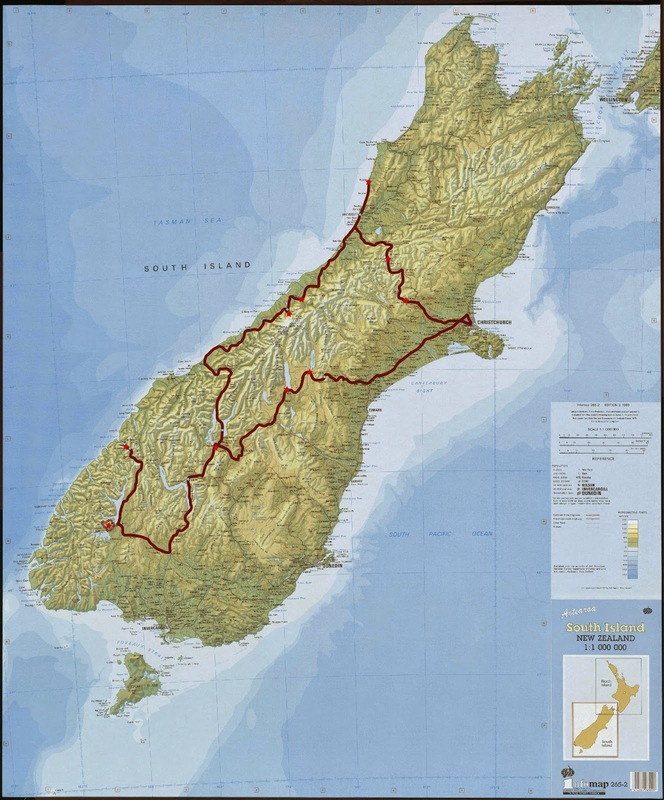 If you look at a zoomed in map of the Southern Island of New Zealand, you can clearly see a distinct line that follows down near the West Coast at the edge of the NZ Alps. This line is the fault where the two plates meet. Most of the actual fault however, is buried and not exposed at the surface. There exists at least one place though that it does! is on the Australian plate, and land to the east is on the Pacific plate. We wanted to stand across this line! We found a place (also run by a retired geologist), that leads tours to the only known exposed outcrop. We booked our tickets and headed up the road to the town of Whataroa and met up with our guides. 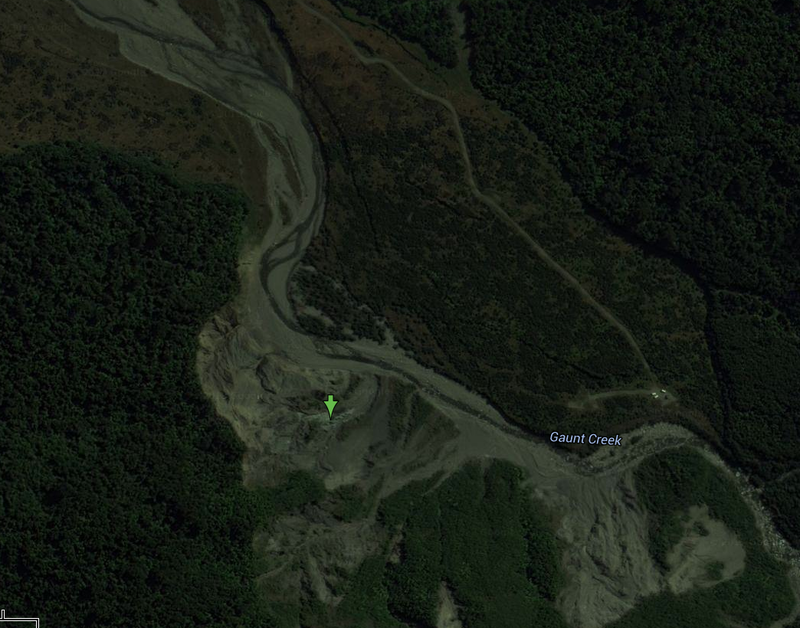 The actual site is along Gaunt Creek and is on private property owned by the tour guides. The same spot is also being investigated by scientists at the University of Otago. 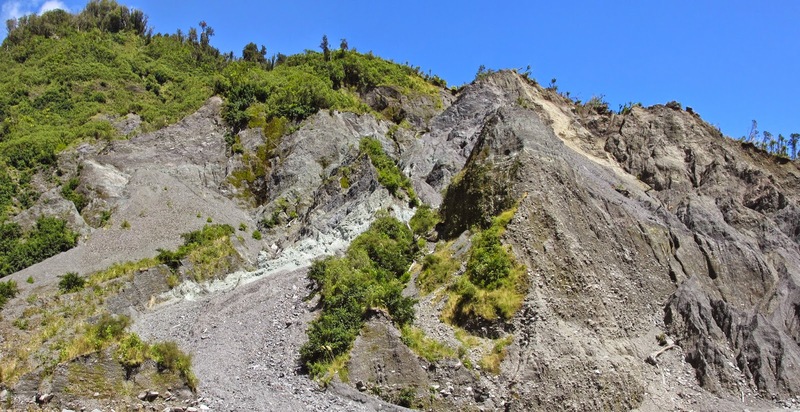 They've drilled several rock cores down across the fault to study it in detail as part of the "Alpine Fault Observatory" project. Info-graphic at the fault outcrop and drilling site. cataclasite forms (derived from the root "cataclysm"). On different plates! Oh hi there...way over in NZ. I'm just chillin' in Australia. Moving on, we realized quickly that we were running out of days. Thus far our micro-camper had been treating us well, and we were having a wonderful time on our adventure. We decided to make one last push up North to Greymouth and the nearby Pancake Rocks, before making our way back to Christchurch to head home. We spent our final West-Coast evening driving up along the beautiful cliffs and toured the pancake rocks right at sunset. That evening we finally managed to secure a small room in Greymouth and enjoyed a some comforts before starting our journey home. The next day, we drove up and over Arthur's pass, only stopping a few times for pictures, and once for lunch along a sunny bank of a river. We made it back into Christchurch fairly early with a few hours before our van was due, so we decided to have one last tiny adventure. 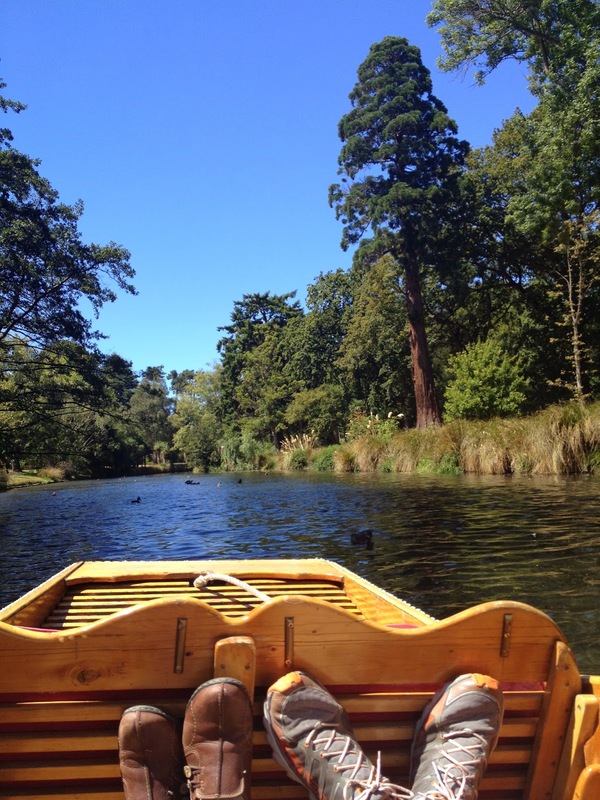 In all the years I had been through Christchurch, I had always wanted to go punting along the Avon river. So since we had time to kill, I decided this was the time to do it. For those of you that don't know, punting is sort of similar to what you'd expect to see in venice, only smaller. A punter stands at the rear of the boat with a long wooden pole, and propels the boat by pushing the pole off of the riverbed. Since the Avon is so shallow, this makes for a great tourist activity, and it also goes right by the famous botanical gardens. For the 20 bucks it cost, it was well worth it and a perfect way to close out our adventure. A lovely weeping willow tree. One of my favorite pics from the entire trip! Obviously I took hundreds of pictures, more than I could possibly show here. We made several other really fun stops that I decided not to share, but I thought this recap covered some of the really fun and more memorable places. After 5 years of hoping and planning, we were finally able to take this long-awaited trip. In all of my travels to the lovely country of New Zealand, this was by far my absolute favorite trip. Get out there people, the world is beautiful!